I love your hair it always looks fabulous! What is your hair care regimen and what brand of color does your beautician use? 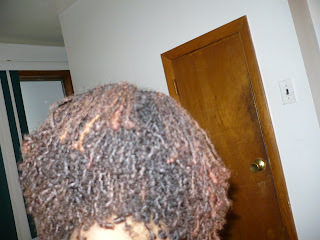 I am newly locked would like to try some different hair care products. Your hair looks great, did you color it again? Thanks for the compliments! I haven't colored it since February. I don't have a hair care regimen...just wash and go:-) I actually colored it myself the last time with Texture and Tones by Dark and Lovely. Impressive!!! That style looks great on you. Your hair looks great!. You are one of my on-line favorites!. Please stop by my page and say hello!. 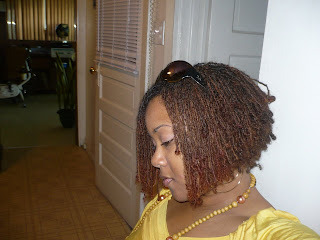 I had no idea sisterlocks could be so fab and modern!